Check your printer is AirPrint compatible. You obviously need to have a printer that supports AirPrint (most newer printers do) before you can use the method. All the leading brands such as Brother, Epson, Samsung, HP, Lexmark, Canon and Dell sell AirPrint enabled printers and it’s likely you would also require an iPhone 3G or later. If you are unsure about your printers AirPrint capability, the instruction manual of printer will advise you of this. If your printer is not AirPrint compatible you can still use the facility providing that you have access to an AirPrint supported printer, maybe in the office or workplace. 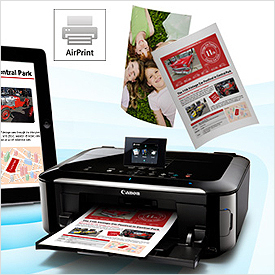 Set up your printer for AirPrint. If your printer has AirPrint built in then it’s likely that it will automatically connect with AirPrint. Check in the operating manual if you need to adjust the printer settings for your printer to use AirPrint and importantly check that your printer is on the same Wi-Fi as your iPhone. 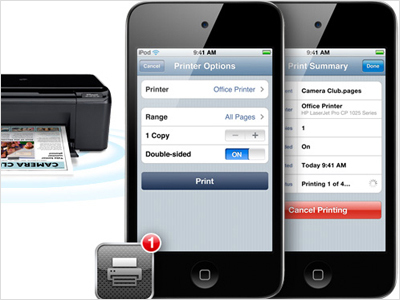 Open the app for Airprint on your iPhone. Open the AirPrint app on your iPhone after first downloading it. Applications from Apple that are compatible with you phone include Mail and iPhoto meaning you can print emails and images. Open the file that you wish to print, choose ‘share’ and then ‘print’. Once you click ‘share’ a menu will appear that will allow you to choose an option to send the item by text, email or to print. Select ‘print’, then tap the arrow at the bottom pointing left and tap print. Selecting your printer. After you tap print a choice of printers will appear on the screen for you to open. Choose the printer you wish to sue (AirPrint compatible of course), type in the number of pages you want to print and the number of copies you would like. You can also change any printer settings you would want as you can when selecting a printer normally. Press Print. Finally, press print to print the actual document and the printer will respond and your documents will be printed as normal. The apps you require for your phone to enable printing from your iPhone or mobile device are all readily available from your iTunes store. For example it’s possible to download a particular app to suit your brand of printer. However some apps such as the HP printing app will only work with a HP networked printer. Top Tip. Always remember to save money when using Airprint by using a good high quality compatible toner cartridges. Good quality compatible inks mean no compromise on quality and big savings on print ink.